About Us : Hanamo Florist Online Store, Vancouver, BC, Canada, Quality arrangements using a plethora of the freshest flowers. 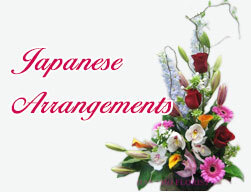 Trusted by the downtown Vancouver hotels, corporates and residents in Vancouver BC as the experienced and high skilled Japanese Vancouver downtown florist, Hanamo Florist always designs every floral bouquet and arrangement in very original and unique style. as soon as you see our sample pictures, you will find the difference from other flower shops. We go for three days every week to the flower growers market auction to select the freshest and best quality local seasonal flowers. We also import roses and many different types of exotic flowers from Ecuador, Asia and other countries. Order online, visit our shop or call directly to Hanamo Florist at toll free 1-877-685-5060 / locally at 604-685-3649. Hanamo Florist staffs will help you to find the best suited floral arrangement for your any occasions. We can accept your last minute delivery request to the nearest our client hotels include : (alphabetical order) Coast Plaza Stanley Park, Fairmont Hotel Vancouver, Fairmont Waterfront Hotel, Four Seasons Hotel, Hyatt Regency Hotel, L'Hermitage Hotel, Loden Vancouver, Opus Hotel, Pacific Palisades Hotel, Pan Pacific Vancouver, Renaissance Hotel, Shangri-la Hotel Vancouver, Shangri-La Hotel, Sheraton Vancouver Wall center, Sutton Place Hotel, Westin Bayshore Resort, and more. We accept the same day last minute order by 3pm to above hotels on Monday to Saturday, except stat. holidays.